If you are feeding stray or feral cats in Barrington and you do not know if they are spayed or neutered please contact us RIGHT AWAY at info@barringtonpaw.org for assistance! Female cats can begin reproducing at around 6 months of age and can have up to 3 litters of kittens a year! The cats WILL BE SAFE! 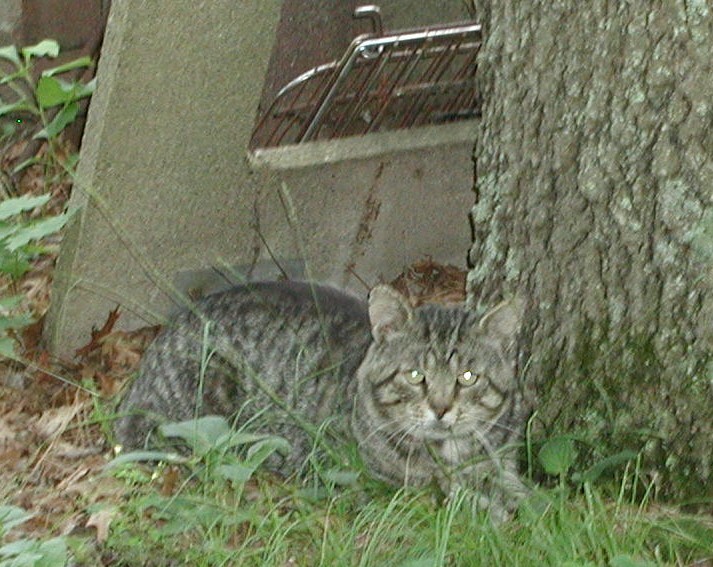 Barrington PAW practices "TNRM" (Trap-Neuter-Return-Manage/Monitor) for feral cats. This means that if the cat is feral they will be returned to your area (its territory) once spayed/neutered & vaccinated as long as there is a dedicated caregiver willing to provide food, shelter and on-going monitoring of the cat. In the case of kittens we work to tame them and then find them great homes! It is important to check stray/feral cats for microchips, to ensure they are spayed/neutered and vaccinated and to treat them for any injuries or medical issues. There is a difference between feral cats and stray cats! People finding cats outside often refer to them as feral - but all outdoor cats are not feral (in fact the vast majority of cats found in Barrington end up not being feral at all!). Stray cats are never returned outdoors by Barrington PAW. Any cat that can realistically live indoors should. Learn more about how to tell the difference ﻿HERE. Barrington PAW strongly believes that whenever possible cats should reside indoors only! This is for their safety and well-being as well as the well-being of area wildlife. An unsually high number of cats go missing in Barrington each year - the dangers are many...predators including coyotes, foxes, fisher cats and birds of prey - cars, poisons, injuries, becoming trapped and more all pose substantial threats to free roaming cats. However, we do recognize that some cats simply cannot be tamed and/or live indoors, and in this case we advocate responsible management that includes; spay/neuter, regular food, good shelter, on-going monitoring and on-going veterinary care if possible. 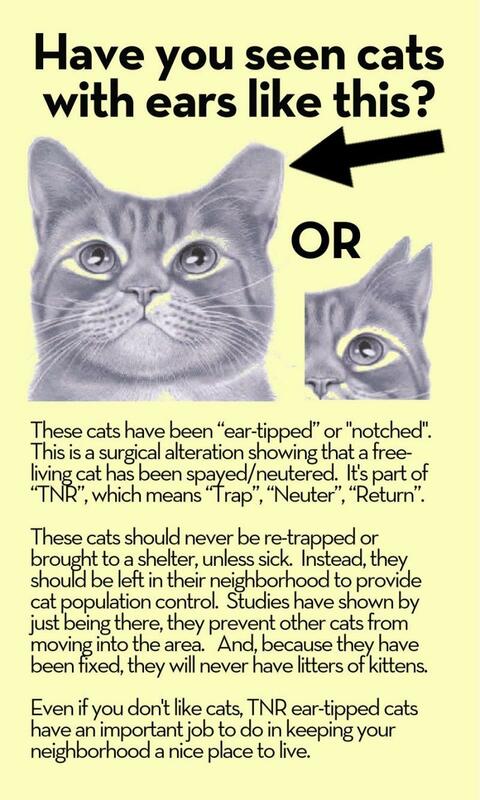 By ensuring that these cats are spayed/neutered the population will reduce humanely over time. We are actively seeking volunteers to help with feral cat efforts. We need people to help trap cats, transport cats, temporarily house cats before and after surgery, and to help raise funds to cover costs associated with this work. Contact cindy@barringtonpaw.org if you are interested in helping our Community Cats. Volunteers are needed in Barrington as well as surrounding Bristol County - especially Swansea, Seekonk and Rehoboth, MA. Have you spotted kittens in your neighborhood? Contact us right away. If feral kittens are trapped and brought indoors when they are still young, they can make wonderful companion animals! 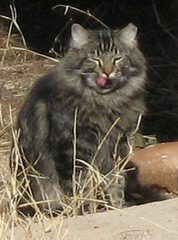 Take a look at photos of some formerly feral kitties below.....do they look wild to you? If you see a litter of kittens in the wild it is critical that they be trapped while they are still young, so please contact us right away for assistance. Nor offered up his ego for a home. To breach his citadel with friendly touch. For additional helpful information review the Best Friends Animal Sanctuary Feral Freedom Guide!